Postoperative spinal implant infection (PSII) places patients at risk for pseudarthrosis, correction loss, spondylodiscitis, adverse neurological sequelae, and even death; however, prognostic factors that predict long-term treatment outcomes have not been clearly investigated. In addition, few studies concerning the feasibility of reconstructing the failed spinal events have been published. We performed a cohort study of 51 patients who contracted PSII in the posterolateral thoracolumbar region at a single tertiary center between March 1997 and May 2007. Forty-seven patients (92.2 %) had one or more medical problems. Isolated bacterial species, infection severity, treatment timing, and hosts’ defense response were evaluated to assess their relationship with management outcomes. The use of implant salvage, or removal subsequent with a revision strategy depended on the patient’s general conditions, infection control, and implant status for fusion. The most common infective culprit was Staphylococcus spp. found in 35 of 60 (58.3 %) isolates, including 20 methicillin-resistant species. Gram-negative bacilli and polymicrobial infection were found significantly in patients presenting early-onset, deep-site infection and myonecrosis. Prompt diagnosis and aggressive therapy were responsible for implant preservation in 41 of 51 cases (80.4 %), while implant removal noted in 10 cases (19.6 %) was attributed to delayed treatment and uncontrolled infection with implant loosening, correction loss, or late infection with spondylodesis. The number of employed debridements alone was not significantly correlated with successful implant preservation. Delayed treatment for infection >3 months significantly led to implant removal (p < 0.05) and a higher number of failed spinal events. Patients with significant comorbidities, malnutrition, severe trauma, neurological deficits, long-level instrumentation, and delayed treatment had poor outcomes. Sixteen patients (31.4 %) exhibited probable nonunion or pseudarthrosis, and eight symptomatic patients among them underwent successful revision surgery. Retention of the mechanically sound implants in early-onset infection permits fusion to occur, while delayed treatment, severe malnutrition and multiple comorbidities will most likely result in a lack of effectiveness in eradicating the infecting pathogens. Restoring optimal physiological conditions is imperative in high-risk patients to allow for further healing. When loosened screws cause peridiscal erosion and incapacitating motion pain, premature implant removal possibly results in failed fusion and correction loss. 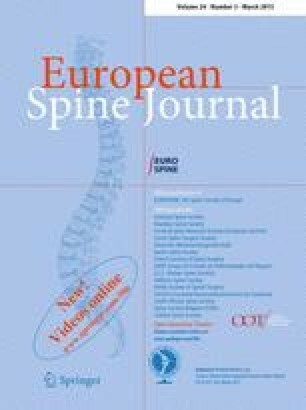 Reconstruction for a failed spinal event is feasible following infection control. The authors did not receive any outside funding or grants in support of their research or preparation of this work. Neither they nor a member of their immediate families received payments or other benefits of a commitment or agreement to provide such benefits from a commercial entity. No commercial entity paid or directed, or agreed to pay or direct, any benefits to any research fund, foundation, division, center, clinical practice, or other charitable or nonprofit organization with which the authors, or a member of their immediate families, are affiliated or associated.